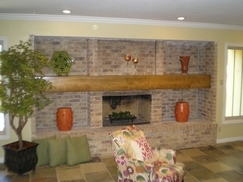 In this home remodeling project we installed a full length fireplace mantel and added recessed lighting in the ceiling. We installed crown molding and repainted the walls and ceiling and finished the living room remodel with new slate flooring. During Remodel. 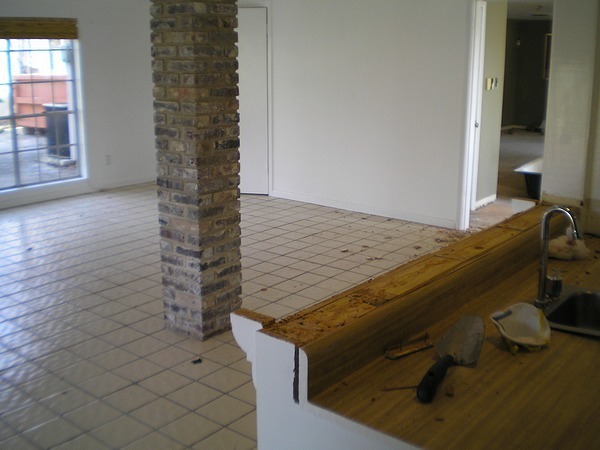 In this home remodeling project work had begun removing the tile floor and the wet bar countertop. 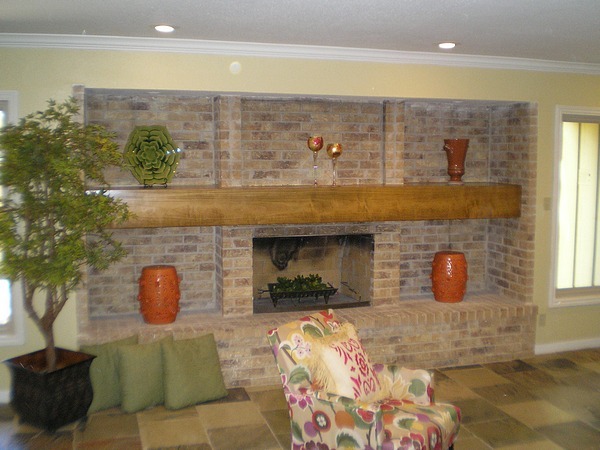 After Remodel. 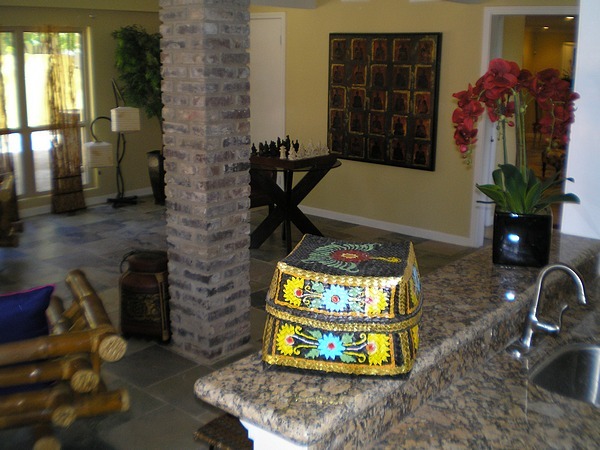 In this living room remodel we installed a granite countertop, sink and faucet for the wet bar. 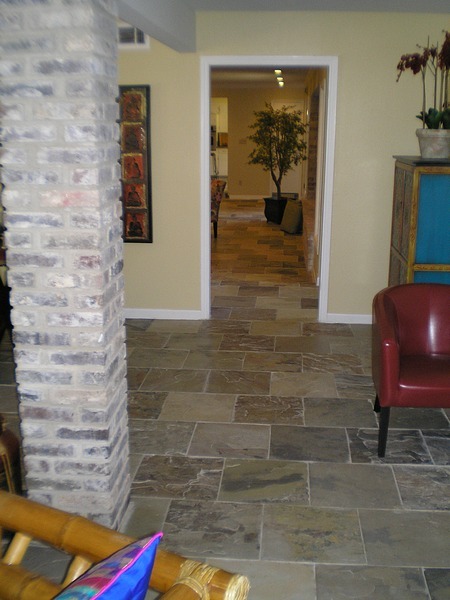 The ceiling and walls were repainted and slate flooring completed the room. 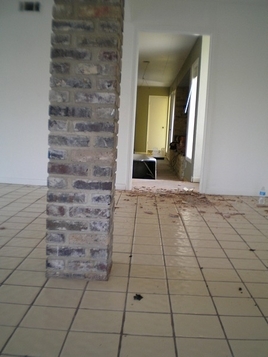 During Remodel. 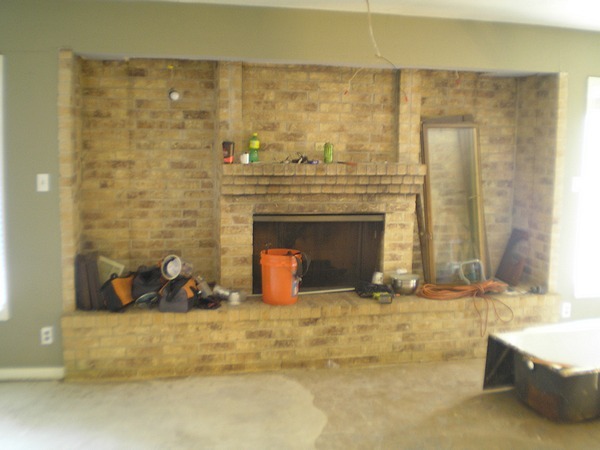 In this living room remodel the tile flooring has begun to be removed. After Remodel. In this photo the original white tile flooring was replaced with new slate tile while the walls, ceiling and trim were repainted.